Your custom design on a paint sheet including 6 paint palette tiles that come alive with water. 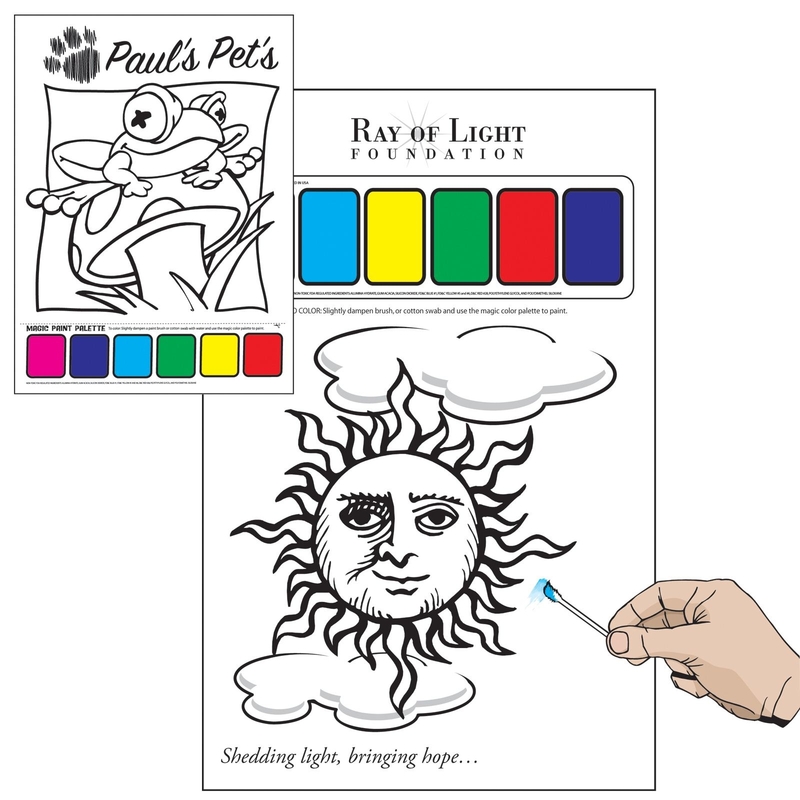 Transfer colours with a wet cotton bud, paint brush or finger onto design. Watercolour paints are a unique way to keep kids busy and encourage them to use their imagination.